Internal portal allows users from within your organization to monitor reconciliation activities, enter AE reporting data to share out, and manage partner information. Share information with your partners and affiliates, leaving data reconciliation activities an internal function. With the Reconciliation Tracker, you can schedule regularly occurring data reconciliation activities, track those activities, report on them, and more. Give your partners a central application to enter AE data, share reports and documents like Excel files, and track reconciliation communications with your partners in a central and searchable location. 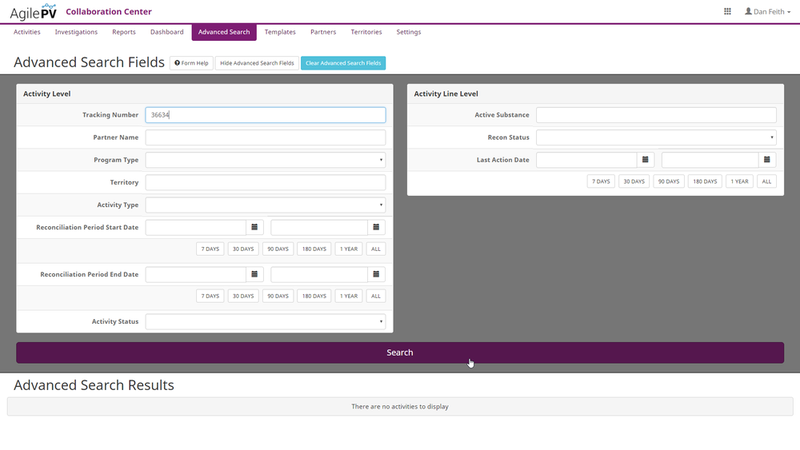 Automatically trigger requests for adverse event data, regular reports to keep up with requirements, and other important information from partners, so that you ensure you and your PVA's are on the same page. Configure reminders and notification escalation when data from partners is due. 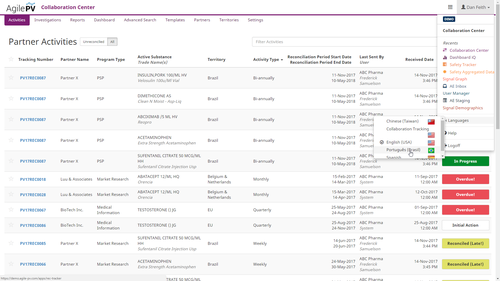 Search for data reconciliation activities around all of your partners, across territories, or active substances. Clinical databases, Safety databases, and your external partners’ databases all hold critical adverse event information, and as MAH, you are responsible for all of it. The importance of managerial oversight in highly regulated environments cannot be overstated. The increasingly distributed nature, both geographically and organizationally, of reconciliation processes is making responsive big-picture oversight harder to find.